Listed below are other astronomical exercises that promote the hands-on philosophy. Included are an exploration of our Sun using real Solar images from the Astronomical Observatory of the University of Coimbra, an exercise designed to make the Solar System a tool to learn math and physics, software allowing the study of the spectra of the stars, and a radio telescope data mapping the Milky Way galaxy. These last data can be analyzed using the SalsaJ software (download here ). It is an electronic pedagogical tool for secondary schools that aims to provide a ready-to-use resource, inspired by real observations and research activities applying modern processing techniques. This tool presents to you an e-Lesson and a corresponding e-Exercise focused on the stellar spectra and their importance in astrophysics. Travelling through the pages of the lesson you will get basic information on light and its spectra, on the stellar spectra and their classification into spectral types, and how they provide us with knowledge about the stars and their life. This lesson will be the theoretical base to understand the exercise. On the other hand, by doing the exercise you will follow, in a simplified manner, the steps taken in a real research project. You will find the age of stellar systems in the neighboring galaxy SMC by classifying and analysing the spectra of their stars. Read more: An electronic Lesson and Exercise "The Life of Stars and their Spectra"
SALSA-Onsala ("Such A Lovely Small Antenna'') is a 2.3 m diameter radio telescope built at Onsala Space Observatory, Sweden, to introduce pupils, students and teachers to the marvels of radio astronomy. The sensitive receiver makes it possible to detect quickly the radio emission due to the spectral line of atomic hydrogen at a wavelength of 21 cm and to map the large-scale distribution of hydrogen in our galaxy, the Milky Way. The radio telescope can be operated remotely over the internet. In this report, we first review some properties of the Milky Way, starting by describing the Galactic coordinate system and the geometry of a rotating disk. We describe how spectral measurements can be used to derive information about both the kinematics and the distribution of the gas in the Milky Way. Then, we outline the observational procedure of how to use the radio telescope for real-time observations. Finally, we discuss how the data can be analysed. Discover the light side of the sun! The project Sun4all allows students from all over the world to work with real solar images and accomplish scientific results. Sun4All proposes 7 different activities using digitized solar images, for different ranges of ages - from the simple counting of sunspots to an elaborate determination of the solar rotation period. Sun4All rests on the asset of solar images obtained at the Astronomical Observatory of the University of Coimbra (Portugal) for 80 years, which are being digitized and made available to anyone via internet. Lecture given during the I TRA Workshop in Torun, October 20th-23rd, 2005. View of the Universe from ancient to modern times. This exercise enables you to determine the distance from the Sun to the Large Magellanic Cloud by studying a Cepheid and its regular variations of luminosity. 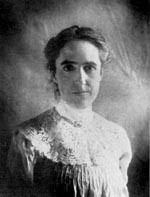 Cepheids - discovered and studied by the American astronomer Henrietta Leavitt in 1912 - are giant yellow stars much more massive than the Sun ans hundreds or thousands times more luminous. They all possess a noteworthy disctinctive characteristic: their brightness varies periodically, to a very regular rhythm. These stars are actually like lighthouses for astrophysicists: they can indeed be observed from extremely long distances. As a period of variation separating two peaks of luminosity is particularly stationary and constant, these stars are more than useful in order to evaluate and work out distances between galaxies. This is what we are going to consider in this exercise. Have you ever seen a supernova ? Our Portal of Supernovae contains already quite a lot of observations performed by students. Most of them are linked now to original images in the .fits format. Teachers interested in making use of these unique supernovae images are invited to register at the portal which will give them access to all the data. Fits images can be processed with the help of the SalsaJ. Note that to get access to the raw data you have to be a registered user of the Portal of Supernovae. If you are not a Teacher you may still register as a Guests, which would also allow you to access images of supernovae.